Monterrey, Nuevo León, 28 de Noviembre de 2018.- En el encuentro de Ida de los Cuartos de Final del Torneo Apertura 2018, Santos Laguna cayó por marcador de 1 a 0 ante su similar de Monterrey, en partido desarrollado esta noche en la cancha del Estadio BBVA. En jugada de contragolpe en el minuto 5, Jonathan Rodríguez acarreó el esférico por el costado de la derecha, asistiendo a Julio Furch, quien de primera intención lanzó su disparo por encima del arco defendido por Marcelo Barovero. Al 8’, Brian Lozano probó con mucha potencia desde las afueras del área, acción que fue desviada por el guardameta regiomontano. Una excelente combinación entre Furch y Rodríguez al 14’, dejó al uruguayo con una clara oportunidad frente al marco, sin embargo, el atacante santista envió la de gajos un tanto elevada de la portería. Luego de una jugada a pelota parada al 58’, ejecutada por Osvaldo Martínez, “El Emperador” apareció a segundo poste para conectar con la testa, pero Jesús Gallardo salvó su meta con un despeje desde su línea de gol. El atacante Rogelio Funes Mori adelantó a Rayados en el minuto 60. La respuesta albiverde llegó al 63’, con un ensayo a primer poste por parte del ecuatoriano Ayrton Preciado. Los Guerreros se mostraron firmes en su intención de hacerse presentes en el marcador, generando opciones importantes a la ofensiva, las cuales fueron contenidas, en más de una ocasión, por el cancerbero argentino Marcelo Barovero. Con este resultado, los dirigidos por Salvador Reyes tendrán la gran oportunidad de buscar su pase a Semifinales en el Estadio Corona, ante el inmenso apoyo de la afición albiverde, el próximo sábado a las 21:00 horas. Monterrey: 1.- Marcelo Barovero, 4.- Nicolás Sánchez, 7.- Rogelio Funes Mori (19.- Luis Madrigal 82’), 8.- Dorlan Pabón (18.- Avilés Hurtado 80’), 11.- Leonel Vangioni, 15.- José Basanta, 16.- Celso Ortiz, 17.- Jesús Gallardo, 20.- Rodolfo Pizarro (288.- Eric Cantú), 29.- Carlos Rodríguez, 33.- Stefan Medina. Goles: Rogelio Funes Mori 60’. Santos Laguna: 1.- Jonathan Orozco, 2.- Javier Abella, 4.- Jesús Angulo, 5.- Martín Nervo, 9.- Julio Furch, 10.- Osvaldo Martínez, 13.- Jonathan Rodríguez (8.- Emilio Orrantia 64’), 15.- Brian Lozano, 18.- Ayrton Preciado (12.- Edwuin Cetré 72’), 21.- Matheus Dória, 23.- José Juan Vázquez. Esta noche, la cancha del Estadio Corregidora fue el marco de la primera de dos batallas entre los Gallos de Querétaro y la Máquina de Cruz Azul, correspondiente a los cuartos de final de la fase final de la Liga MX. Tras el silbatazo inicial, el conjunto comandado por Rafael Puente buscó hacerse del balón y comenzar a generar peligro en el campo visitante, sin embargo, los cementeros supieron maniatar los intentos albiazules y al 15’ se pusieron en ventaja con el tanto marcado por Pablo Aguilar. Posteriormente, los queretanos buscaron el gol de la igualada, pero la visita llevo el partido con la ventaja parcial al descanso. Ya en el segundo tiempo, Rafael Puente realizó ajustes con la premisa de conseguir a toda costa el empate. Everaldo Stum, Matías Britos y Erbín Trejo ingresaron al campo, y a pesar de crear algunas opciones, la fortuna no acompañó a los Gallos. Fue al minuto 59’ de tiempo corrido, cuando un gol de Edgar Méndez sentenció el destino del cotejo y decretó el 0-2 con el que Cruz Azul se llevó la victoria. Charges have been filed against a suspect arrested in the death of a woman found at 8520 LaPorte Freeway about 8:45 p.m. on November 21. The suspect, Luis Moron Romero (H/m, 36), is charged with murder and tampering with evidence in the 185th State District Court. He is accused in the death of Maria Marquez, 38, of Houston. A booking photo of Romero is attached to this new release. HPD officers responded to a report a pickup truck parked in a field at the above address. Upon arrival, they found the remains of a female inside the vehicle. At that time, there were no known suspects. Further investigation identified Romero as the suspect in this case. He was taken into custody on Tuesday (November 27) and admitted to investigators his involvement in Ms. Marquez’s death. Lights, camera, dare to shine! On Saturday, 8 December at 18:00 local time, La Seine Musicale in Paris, a famed venue for music and performance arts in France, will host the Draw for the FIFA Women’s World Cup France 2019. In line with the tournament’s theme of light and luminosity, a glittering line-up of draw participants, each ready to #DareToShine, has been revealed. Amanda Davies, a highly acclaimed presenter of CNN’s World Sport Programme, is known to a global audience for her interviews with some of sport’s most famous faces. She has reported on multiple major international events, including: the Summer and Winter Olympics, FIFA World Cups™, UEFA Champions League finals, the Tour de France and the World Athletics Championships. She also hosts CNN’s monthly Formula 1 show “The Circuit” – following the F1 calendar around the globe, hosting live shows from the paddock on race weekends, and interviewing the leading names from the industry. Denis Brogniart, a household name in France, will join Amanda Davies as a draw moderator. He has worked for the French national television channel TF1 for nearly 20 years and is best known for his work as the presenter of the survival style programme Koh-Lanta, as well as motoring series Automoto. He has also presented live coverage of several UEFA Champions League finals, FIFA World Cups and Rugby World Cups. Both Davies and Brogniart will guide the draw conductors and assistants on stage as the draw procedure for the FIFA Women’s World Cup France 2019 takes place. Stars of the women’s and men’s game respectively, Alex Scott and Louis Saha will act as the draw conductors, bringing the magic from the football pitch to the draw event. Alex Scott is a legend of the women’s game with an impressive record of five Premier League titles, seven FA Cups and a UEFA Champions league (2008) win at Arsenal. She achieved 140 caps with the English women’s national football team, The Lionesses, and ended her international career in 2017. Former French international Louis Saha will join Alex Scott as a draw conductor. Louis Saha won 20 caps for the French men’s national football team and played in the semi-final of the 2006 FIFA World Cup™. He played at club level for FC Metz, Manchester United, Fulham, Newcastle United and Everton. During his time at Manchester United, he won two consecutive Premier League titles (2007, 2008) and one UEFA Champions League title (2008). Steffi Jones, legend of German football, winner of the FIFA Women’s World Cup 2003™ and organiser of the FIFA Women’s World Cup 2011 in Germany.The draw for the FIFA Women’s World Cup France 2019 promises to be a scintillating event and will be attended by officials from the qualified teams, FIFA Legends, several VIPs and ettie™, the tournament’s mascot. The full match schedule for the tournament will be available on FIFA.com following the draw. The FIFA Women’s World Cup France 2019 will take place across nine Host Cities in France: Grenoble, Le Havre, Lyon, Montpellier, Nice, Paris, Reims, Rennes and Valenciennes. The opening match will be played in Parc des Princes in Paris on 7 June. The semi-finals and final will be played in Lyon on 2, 3 and 7 July. Additional information on ticket offers by package and Host City is available by clicking here. Make sure to follow the draw live on FIFA.com/WorldCupand across our social media accounts on Twitter, Facebookand Instagram. LAKEWOOD RANCH, Fla. (Nov. 28, 2018)-The U.S. Under-17 Men’s National Team drew Portugal 1-1 in its first matchof the 2018 Nike International Friendlies. A back-and-forth affair for 90 minutes, opportunistic play from Griffin Yow on the high press gave the U.S. the lead in the 36th minute, but a field-stretching service and perfect final pass from Portugal equalized the game late. The teams are now tied for second at the Friendlies behind Brazil, who won the day’s first game 1-0 over Turkey. The USA took the initiative in the early-going, pressuring Portugal high, but the Europeans proved dangerous in transition. While the U.S. held most of the possession and showcased some strong build-up at the start, Portugal fired off the first dangerous chances and goalkeeper Damian Las and the U.S. back line were called into action to keep the game scoreless. Defender Adam Armour was forced to make a goal-line clearance in just the sixth minute as Rafael Brito fed a number of balls into the box and the Portuguese threatened on several set-pieces. As the half wore on, Portugal stepped up its own pressure, but Las and the defense held strong. The tide turned in the 36th minute, when Daniel Rodrigues put too much on a pass back to the Portuguese back line and forward Griffin Yow jumped on the mistake, slotting it home for the game’s opening goal. Yow continued to be dangerous as the half wore on, quick to pressure the Portuguese defense and creating chances in the box. The end-to-end action continued in the second half. Midfielder Giovanni Reyna pulled off some impressive dribbles to spark the U.S. attack, but the U-17s were unable to extend their lead as the game wore on. While the USA defense held strong for most of the half, a flood of Portuguese subs provided fresh legs and helped find the breakthrough in the 81st minute. Beating his man down the left wing, Gerson Sousa played a perfect ball in to Tiago Tomas near the goal line and he slid to send the ball to the back of the net and equalize. The USA had a last-gasp effort in the fourth minute of stoppage time, when a long ball from Las bounced past the Portugal defense and found Reyna on the run. He ripped at goal, but Portuguese goalkeeper Samuel Soares saved it and the U.S. wasn’t able to put a follow-up attempt on-frame. Up next, the U-17s continue the Nike International Friendlies on Friday, Nov. 30 against Turkey at 6:30 p.m. ET (ussoccer.com , Facebook, YouTube). Portugal will take on Brazil in the first game of the day at 3:30 p.m. ET (ussoccer.com , Facebook, YouTube). Team W L D GD Pts. Damian Las and Adam Armour, 6th minute: Portugal threatened early when Daniel Rodrigues got his head on a nice ball into the box and put it on-frame. Las got in front of the attempt, but his save bounced to the feet of Bruno Tavares. Armour did well to recover quickly and clear away Tavares’ attempt from the goal line. Damian Las, 52nd minute: Bruno Tavares sent a well-placed free kick to the far corner of the six-yard-box, where Rafael Brito dove to get his head on the ball and push it to the near post. Las held his position and dove to his right, saving the attempt. Venue:Premier Sports Campus; Lakewood Ranch, Fla.
Los Charros de Jalisco y los Mayos de Navojoa ofrecieron un gran enfrentamiento en el montículo, mismo que terminó adjudicándose el equipo local con pizarra de 0-1. El derecho cubano Elian Leyva fue el designado para abrir el segundo juego ante Mayos y logró tirar en 7 capítulos, permitiendo 5 imparables y sólo 1 carrera, además de que ponchó a 4 rivales; como relevista vio acción Linder Castro. Con Navojoa, el abridor fue el zurdo Robert Carson, serpentinero que tuvo una labor durante 4 innings y 2 tercios, recibiendo en dicho tiempo 2 hits y pudo abanicar a 4 bateadores de Jalisco; en el relevo Mayo tuvieron participación Ruddy Acosta, Esteban Haro, Oscar Félix, José Isidro Márquez y Jesús Pirela. Luego de un gran juego de pitcheo que exhibieron Elian Leyva y el cuerpo de serpentineros de Navojoa, sería en la parte baja de la sexta entrada cuando los Mayos se pusieron al frente en la pizarra, gracias a un cuadrangular panorámico y solitario por todo el jardín izquierdo de Jovan Rosa. La novena del “Chapo” Vizcarra intentó reaccionar en los capítulos restantes, sin embargo el batazo oportuno no terminó por hacerse presente en el “Ciclón” Echeverría a favor de la visita. Este jueves se definirá al ganador de la serie en el sur de Sonora, duelo para el cual están anunciados Marco Tovar y Raúl Carillo para abrir por Charros y Mayos, respectivamente. Charges have been filed against a suspect wanted in the fatal shooting of a woman found at 8132 Ogden Street about 4:40 p.m. on Monday (November 26). The suspect, Jose Angel Martinez-Espinosa (H/m, 45), is charged with murder in the 180th State District Court. He is NOT in custody and is wanted in the killing of his wife, Ninfa Macias Martinez, 40, of the above address. A recent photo of suspect Martinez-Espinosa is attached to this news release. Investigators believe his hair is a little shorter at this time. HPD patrol officers responded to a shooting call at the above address. Upon arrival, they found Mrs. Martinez deceased inside the residence. She was shot multiple times and was initially found by a family friend. Based upon witness statements, it is believed the incident occurred earlier in the day, possibly some time in the morning. Further investigation led to the identity of the suspect as Martinez-Espinosa. He is described as being 5 feet 5 inches tall with a skinny build. He is believed to be driving a black 2006 Nissan Altima with paper license plates. It is possible Martinez-Espinosa will flee or has fled to Mexico. Anyone with information on the whereabouts of Jose Angel Martinez-Espinosa is urged to contact the HPD Homicide Division at 713-308-3600 or Crime Stoppers at 713-222-TIPS. LOS ANGELES (November 28, 2018) – Undefeated heavyweight giants Deontay Wilder and Tyson Fury erupted in Los Angeles on Wednesday at the final press conference for their WBC Heavyweight World Championship this Saturday, December 1 on SHOWTIME PPV® from STAPLES Center in an event presented by Premier Boxing Champions. The 6-foot-7 Wilder and the 6-foot-9 Fury went back-and-forth with verbal haymakers before nearly coming to blows while posing for photos onstage. The unbeaten heavyweights will meet in just three days in the most significant heavyweight event in the U.S. in more than 15 years. The SHOWTIME PPV begins at 9 p.m. ET/6 p.m. PT and features unified 154-pound world champion Jarrett Hurd returning to take on Jason Welborn, Cuban heavyweight slugger Luis Ortiz facing-off against Travis Kauffman and rising heavyweight Joe Joyce battling Joe Hanks. Tickets for the event, which is promoted by BombZquad Enterprises and Queensberry Promotions, in association with TGB Promotions and DiBella Entertainment, are on sale now and are available via AXS.com. Wilder vs. Fury will be produced and distributed by SHOWTIME PPV. The suggested retail price (SRP) for the pay-per-view telecast is $64.99 for standard definition. “This is going to be an amazing event. I’ve been so happy in my camp and in my life. Everything has come together. I’m just so happy to be here fighting at STAPLES Center and ready to bring the stars out for this special fight. “I cannot wait for this fight. The time is coming. Only three days now. Can you feel the energy? The two best heavyweights in the world are right here. This is a moment that I’ve waited for my entire career. This is my time. Tyson Fury had his time. “What I care about is showing people what I’m all about it. I’m showing you each and every time and I’m giving you a knockout. America has a mighty man in me. America has the baddest man on the planet. “I put in the hard work to make it here. I’ve grinded and worked. There’s no way I’m going to let a man come from another country and take what I’ve been building. “I don’t believe Fury has the confidence to come and beat me. His last opponent hit Fury with any shot he wanted. If he’s going to knock me out, why didn’t he knock out his last opponent? He doesn’t believe he can knock me out. When I say it, I believe it. My numbers don’t lie. I’m going to prove it again. “It’s so beautiful to have two great giants in the ring. Two great guys with great stories. We will determine who is the best. You will get to see who is the best heavyweight in the world. One champion, one face and one name. That is what I’m seeking. “I’m grateful for all the opponents I’ve faced. Every fighter has brought something to the table and made me bigger and bigger. I had to prove myself over and over again. I have to show everyone with my actions. “This means everything to me. There are so many emotions running through my body. I’ve been ready for two weeks. We went through the process of camp so that we stayed sharp, but I’ve been ready. I’m a different breed in this sport. “It is my anniversary today. It’s been three years since I went to Germany and beat Wladimir Klitschko all over Dusseldorf to becoming heavyweight champion. I’m only three days away from doing the same to the ‘Bronze Bomber’. “We’ve had a fantastic training camp. We’ve put nine weeks in. I can’t remember a better training camp. We’ve had no injuries and fantastic sparring. I’m here to do a job and enjoy myself. “I hope the boxing fans around the world are going to enjoy this as much as I will. I’ve looked forward to this fight since 2011. On Saturday night, I’m going to finally get my chance to punch him in the face. Deontay Wilder is getting knocked out. “It’s been a long, hard road. I had many obstacles in the way. My absence from the ring has been well documented, but it’s made me stronger and more determined. I’ve never been as happy during a training camp as I was in this one. “Having Freddie Roach on the team is fantastic. He’s helped us out a lot in the gym and I’m glad we have him on our side. I’m thrilled to have him. “The fire in me has been lit again. Nothing in life was given to me. I’ve worked for everything I earned. I am the people’s champion and I am the man who gives the people hope. I’m not just fighting for myself. I’m fighting for the millions of people around the world who look to me for inspiration. “I don’t need to beat Deontay Wilder to prove I’m the best. I’m the lineal champion. If Deontay wins, he will be the best, but he’s not going to beat me. 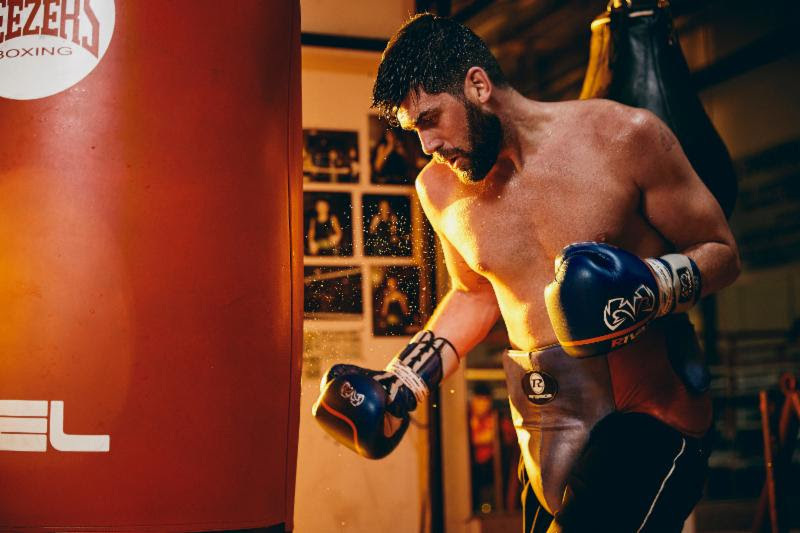 I’m the best heavyweight alive, and there’s only one way to get that title. You have to come take it from me. There’s never been a man who could better me in a fight. “These are two very big tall guys, who are also very athletic, and that’s not something you get to see very often. These aren’t bulky guys who are going to hug all night. These guys are coming to fight. It’s going to make it a very exciting night. “Typically Deontay doesn’t fight people as tall as he is, but he always fights people heavier than himself. That’s never been an issue. As far as preparation, we felt that because of Fury’s athleticism, we were better off bringing guys who maybe weren’t as tall, but were very athletic. His prevailing attribute is the athleticism, more so than his height. “It’s been great to see Deontay’s growth over the years. His boxing IQ and maturity level has come so far. He realizes he needs to do what is best for his body each and every day while still getting all of the work done. He’s so much healthier going through the progressions of camp than he ever used to be. He’s really on point with his health, nutrition and workouts. He knows himself so well. “These men are both so confident and have such high levels of self-belief, that they’re never willing to give an inch. If it was a race to tie their shoelaces, neither one would want to lose. When they get together, it’s just exciting. “I knew that Tyson Fury was elite in every department, but he’s even stronger mentally than I imagined. He’s so confident and relaxed. Deontay will have to convince himself of things that are not true to build confidence. That’s the big difference. “There’s nothing like a great heavyweight title fight. As goes the division, so goes boxing. There aren’t truer words. I’ll put a great heavyweight fight against any sporting event you can go to in the world. Saturday night at STAPLES Center, we have a great one. “We know that Tyson Fury deserves to be here and that he presents a threat. He’s a great champion who can box. He’s a champion for people who have had to overcome struggles. He’s back to looking better than I’ve ever seen him and he’s an inspiration to a lot of people. “The man I’m lucky to be able to introduce is the best heavyweight in the world. This fight is happening because his team has worked tirelessly for years to get him this kind of opportunity. Finally, on Saturday night, there is a champion brave enough to get in the ring with Deontay Wilder and allow him to realize his dream. “We’ve got a great fight coming up on Saturday. Team Fury has done a fantastic job getting Tyson Fury into tremendous shape. What’s so significant about this fight is that today is three years to the day when he became heavyweight champion by beating Wladimir Klitschko. He went into his opponent’s backyard and took the title and he intends to do the same on Saturday. 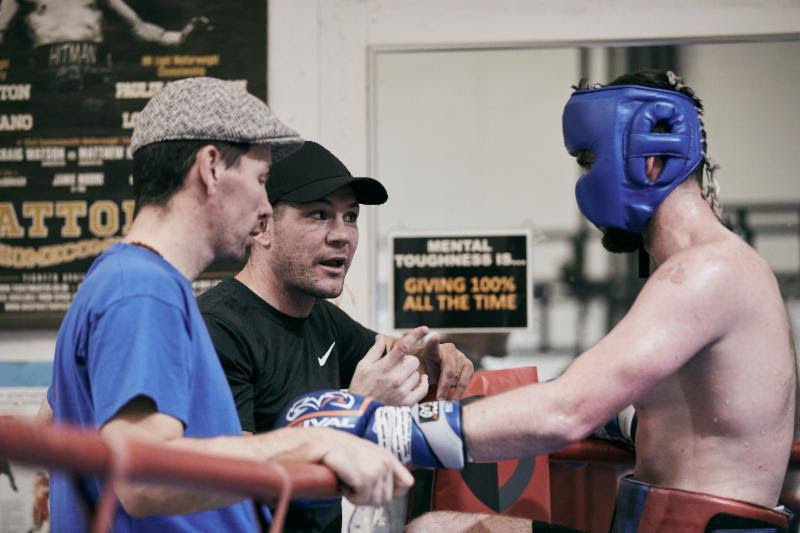 “To see where Tyson Fury is at today is a testament to to his character. He’s here as the lineal champion, undefeated in the ring and back to win his title on Saturday. “Heavyweight boxing is back. SHOWTIME has done 13 heavyweight title fights in the last four years, including three this year. I can’t think of two guys I’d rather do a big heavyweight fight like this with than Deontay Wilder and Tyson Fury. “Both of these men have beaten the odds to make it here. Tyson Fury’s obstacles have been well-documented and he will again beat the odds on Saturday night just by making it into the ring. Charges have been filed against two suspects arrested in the stabbing of a man at 1708 Gentry Street #A about 6:15 p.m. on Monday (November 26). The first suspect, Gloria Garza (H/f, 22), is charged with aggravated assault of a family member in the 351st State District Court. The second suspect, Angel Puente (H/m, 38), is charged with aggravated assault with a deadly weapon in the 351st State District Court. Photos of both suspects are attached to this news release. The victim, George Rios, 35, was transported to Ben Taub General Hospital in stable condition. The victim, Mr. Rios, is suspect Garza’s ex-boyfriend. An argument over child custody escalated into a physical altercation during which both suspects stabbed Rios multiple times. Rios was transported to the hospital by Houston Fire Department paramedics and both suspects were arrested and charged in this incident. ¡Los Boletos Están a la Venta! 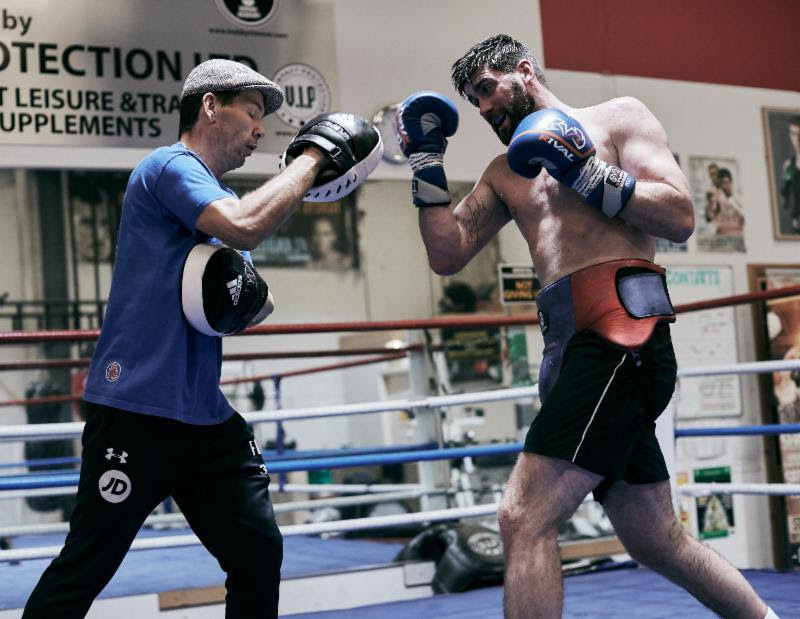 MANCHESTER, Reino Unido 28 de noviembre de 2018 Rocky Fielding (27-1, 15 nocáuts) ha incrementado los esfuerzos de su entrenamiento en su territorio natal mientras se prepara para la oportunidad de su vida ante Canelo Álvarez (50-1-2, 34 nocáuts), monarca mundial mediano CMB, AMB, Lineal y Ring Magazine por el cetro mundial supermediano AMB. Fielding ha reunido el mejor equipo para lograr la victoria más sorpresiva de su carrera – un triunfo que lo podría llevar al siguiente nivel del boxeo. La pelea de campeonato mundial a 12 asaltos se efectuará el sábado 15 de diciembre en el Madison Square Garden y se transmitirá en vivo por DAZN, que, por solamente $9.99 dólares por mes después de una prueba gratuita de un mes, significa que los nuevos suscriptores de DAZN disfrutarán gratis del evento boxístico de Canelo vs. Rocky. “Si gano, me convertiré el rey de Nueva York y uno de los nombres más importantes en una sola la noche. Vine de la nada y ahora estoy encabezando en MSG. Es un sueño hecho realidad, pero es un trabajo, y el trabajo se realizará en el gimnasio de Manchester. Se habla mucho sobre la próxima pelea de Canelo después del 15 de diciembre – que puede ser ante Danny Jacobs, Demetrius Andrade, los Charlos, o incluso Callum Smith en Anfield; déjelos hablar. Si le gano a Canelo, yo tendré una pelea masiva en Anfield”. “Cuando tuvimos el frente a frente, lo primero que vi fueron las cortadas de la pelea con GGG que todavía estaban frescas. Además, no hay forma de que pueda poner ocho libras de músculo desde su última pelea, pero es peleador élite y sé que es mi prueba más grande. Sin embargo, estoy confiado. No lo habría tomado de otra manera. Está en mi división, e incluso soy grande para esa categoría. Tengo pegada, sé cómo usarla y sé cómo boxear”. “La altura y el peso son significativos. Estoy cómodo con el peso, y él es el que va a subir de peso. Canelo era una bestia en superwelter, pero no es el peso mediano más grande y también no será el más grande en las 168 libras. Esa diferencia va a hacer para una gran pelea. Si a veces tengo que profundizar, como espero hacerlo, sé que puedo. Mi peso y altura definitivamente pueden jugar una parte masiva. He tenido seis buenas victorias desde la pelea contra Smith. Gané títulos y luego fui a Alemania donde nadie me dio la oportunidad y derroté al favorito de la fanaticada local para convertirme en campeón mundial. Él [Canelo] puede estar mirando más allá de mí, pero definitivamente yo no lo estoy haciendo”. “Estamos cubriendo todas las bases en las sesiones de sparring. No vas a tener a otros peleadores para sparring que sean exactamente como Canelo, pero estamos replicando la construcción, la altura, las habilidades de boxear y las manos rápidas. Pero lo más importante es lo que puedo hacer en la noche de la pelea. Sabemos que él [Canelo] es un rival élite y un acto de clase completo, pero hay algunos detalles que Jamie Moore y yo estamos viendo en video y estamos trabajando en eso en el gimnasio”. “Este es mi primer campamento de entrenamiento como campeón mundial, y sé que es más difícil seguir siendo campeón del mundo que convertirse en uno porque es como si hubiera un objetivo en tu espalda. Todo sobre la pelea es grande, pero estamos lejos de todo en Manchester. No hay luces brillantes como en el Madison Square Garden, así que estamos enfocados en el plan con Jamie”. “Canelo no comete muchos errores, así que vamos a tener que sacar esos errores de él. Él [Canelo] boxeó en una guerra a 12 asaltos en septiembre y ahora ha ido a otro campamento de entrenamiento para enfrentarme en diciembre. ¿Su cuerpo sostendrá otro campamento después de esa guerra?”. Canelo vs. Rocky es un combate a 12 asaltos por el cetro mundial supermediano AMB presentado por Golden Boy Promotions en asociación con Matchroom Boxing. Lemieux vs. Johnson es un duelo a 12 asaltos en peso mediano presentado por Golden Boy Promotions y Eye of The Tiger Management. El evento es patrocinado por Tecate, “THE OFFICIAL BEER OF BOXING,” y Hennessy “Never Stop. Never Settle.” El evento se efectuará el sábado 15 de diciembre en el Madison Square Garden de la Ciudad de Nueva York, Nueva York y será transmitido en vivo por DAZN.